Houzz Houzz's View in My Room 3D is an augmented reality tool in the Houzz app that lets people preview furniture and decor products before they buy. And the design apps do not stop at the door. With spring beginning on Tuesday, there are landscaping apps to help take the guesswork out of deciding what to plant and where and when. The site's “Visual Match” feature allows visitors to order furniture and other products that are the same or similar to those seen in the magazine-type photos. You can work with a friend by using the “Invite a Collaborator” feature, or, through “Directory,” contact local designers, architects or landscapers. 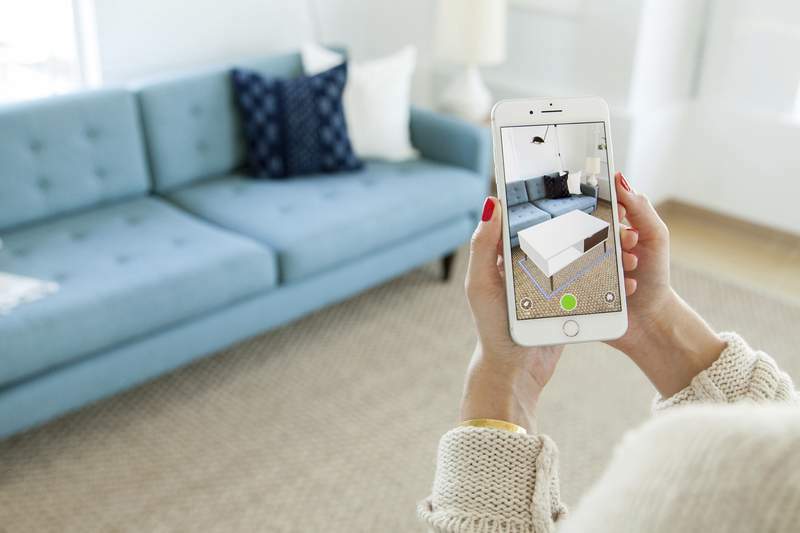 One of the newest features is “View in My Room 3D,” which invites you to photograph your room on your phone and then – using augmented reality technology – place a selected piece of furniture in the room to see what it would look like there. Other indoor design apps include Hutch, Home Design 3D, and Home Design 3D, Rooms, and interior design apps from stores like IKEA and Overstock.com. Just don't be surprised when your landscaper or designer pulls out their phone to consult an app.